Dr. Brett Farnham, DDS and his friendly team love meeting and serving patients of all ages. We perpetuate a small town feel here in our family dental office by getting to know our patients as individuals. We take a genuine interest in each unique patient, and we strive to develop a meaningful working relationship. In the midst of our welcoming and relaxing office, you can enjoy the latest advancements in dental technology. We take a traditional approach to patient care and we utilize the best dental techniques available! Our technology and techniques allow us to provide unparalleled patient care that is comfortable, safe, and successful. You and your family members need optimal oral health to live life to the fullest! 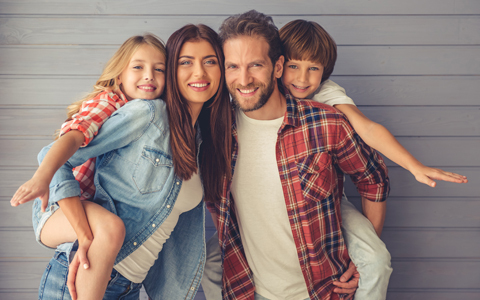 General and family dentistry focuses on improving your health and then helping you maintain that healthy smile for a lifetime. Without regular general dental visits, bacteria builds up on the teeth and causes bad breath, toothache, infection, and tooth loss. Protect your oral health by visiting Dr. Farnham once every six months for cleanings and exams. During your six-month appointment, our dental hygienists will administer a comfortable cleaning to remove the buildup of plaque from the gumline. This service, when combined with at-home care, will protect you from tooth pain and unhealthy gums. We may also recommend a fluoride treatment to strengthen your teeth. Dr. Farnham will perform a thorough dental exam, including x-rays. Depending on your individual needs, the dentist may recommend one or more family dentistry treatments. Our dental team will take the time to ensure your understanding of all of your options, so that you can make smart decisions regarding your dental care. We hope to see you in our friendly full-service dental office soon. You will be treated to amenities, entertainment, and gentle services. To schedule your next visit, call Dental Designs today!